Tamara was born and raised in Rochester, NY. She graduated from Rochester Institute of Technology with a BFA in Photojournalism. As a staff photographer for a monthly community newspaper in Rochester, Tamara developed digital media skills and was charged with maintaining the paper’s website, social media, blog and multimedia projects. 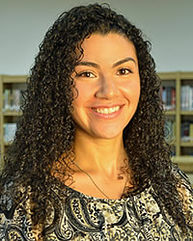 Upon her move to Arizona, she entered the world of education, accepting a job as an elementary school librarian in Mesa. Inspired by the educators around her, Tamara went back to school and graduated with a Master’s degree in Curriculum and Instruction in Elementary Reading from Grand Canyon University in February 2016. She currently serves as an elementary school media specialist in Tempe and as a social media consultant for various organizations which allow her to combine her passions for photography, storytelling, reading, education and service to community.